Since 1989 Berlin has been a City enjoying a new life: a phoenix risen from the ashes it was reduced to in World War II and reunited after the long division it knew during the Cold War years. The city found recovery challenging, but now is a magnet for artists, musicians, and intellectuals from all over the world including English architects, Italian designers, and Polish restorers, who add a mixed and cosmopolitan community to the city. Today Berlin is a varied mosaic in which French bakeries and Norman Foster's architectural creations blend with Schinkel's classical buildings and Wagner's masterpieces. 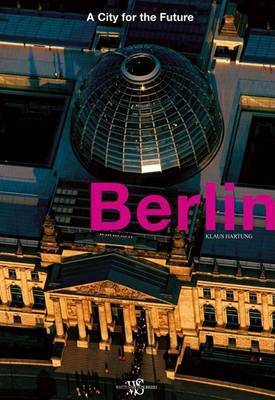 The book is introduced with a chapter dedicated to Berlin's earlier history (essential to understand the city's complex expressiveness and the weaving together of so many different styles) is a homage to the urban and architectonic qualities of Germany's capital city. Since the fall of the Berlin Wall the city has been able to recover its great traditional Brandenburg patrimony, to cultivate its love of public parks and gardens, and to rush forward into the Third Millennium with futuristic buildings and experimental spaces. The pictures included in this volume were specially commissioned (with numerous aerial shots) to offer a fascinating gallery of views of the city and its monuments - a city that knew how to merge its different halves and accommodate to an often difficult history. Klaus Hartung was born in Eastern Germany. In 1980 he started working in Berlin as a publishig consultant and jounalist. He later became an editor of Wochenpost, a leading paper in East Berlin, in which he published essays on politics, social reforms, contemporary art and on the reunification of the German nation.